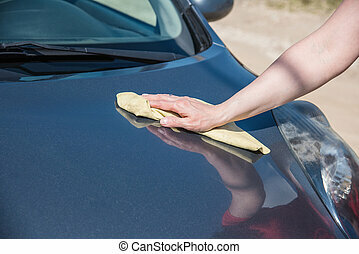 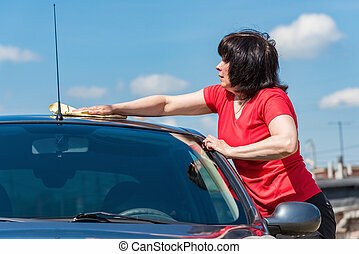 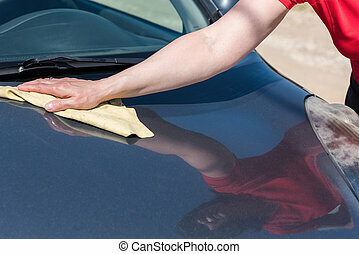 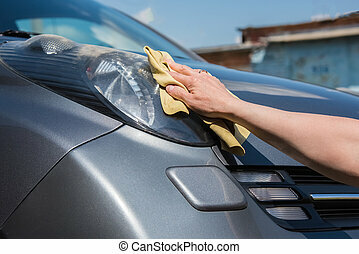 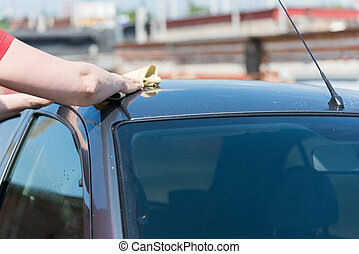 Brunette woman washes her car. 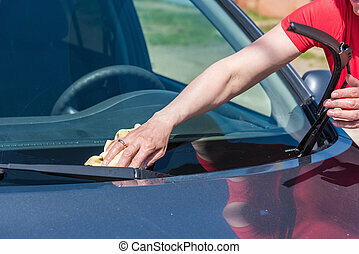 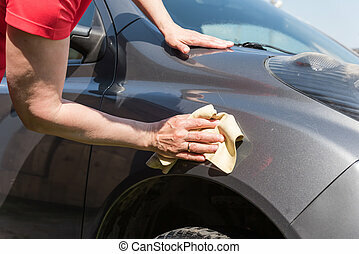 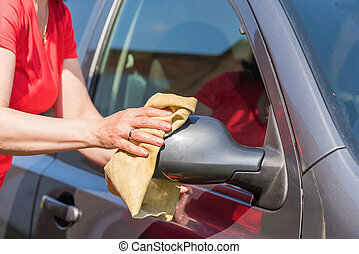 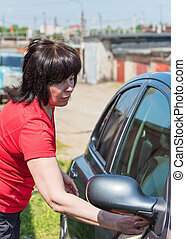 Brunette middle-aged woman in a red sweater wash your car outdoors. 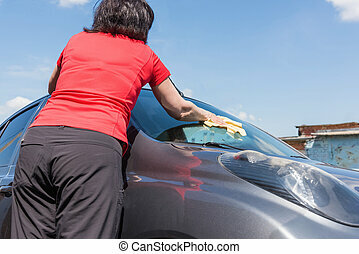 Pretty woman washing her car with a cloth. 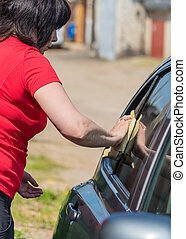 Young brunette girl washing her long hair in the cabin. 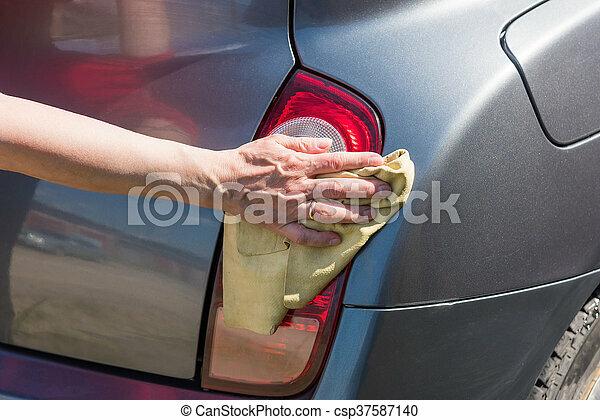 Lady in white towel hydrating her face.